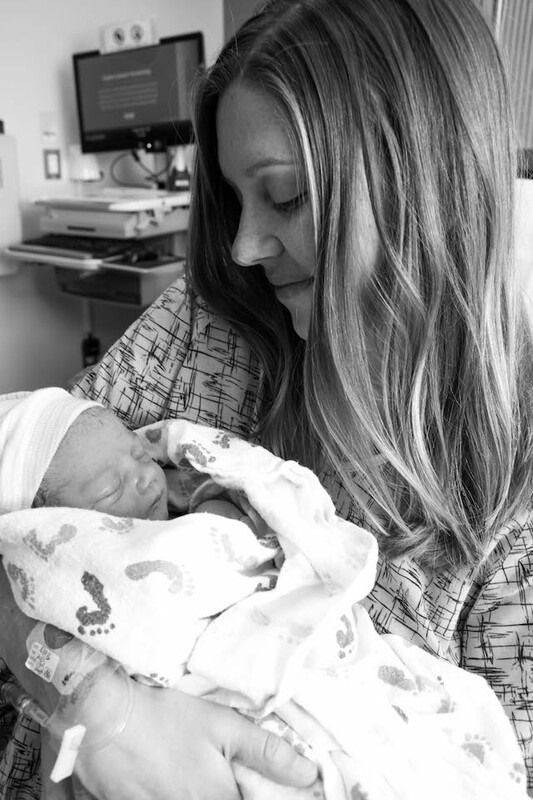 brooke: Cambria Madison: your birth story. 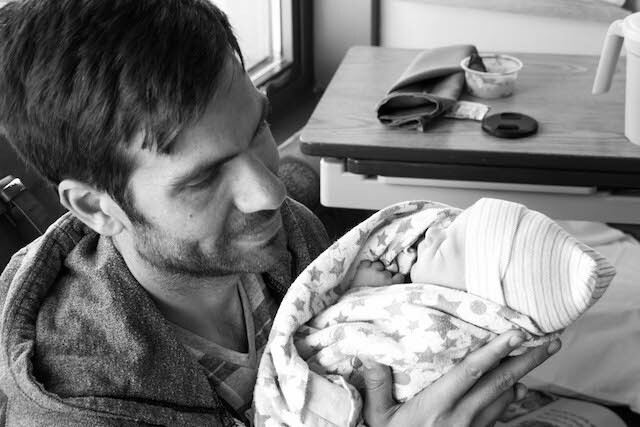 Cambria Madison: your birth story. 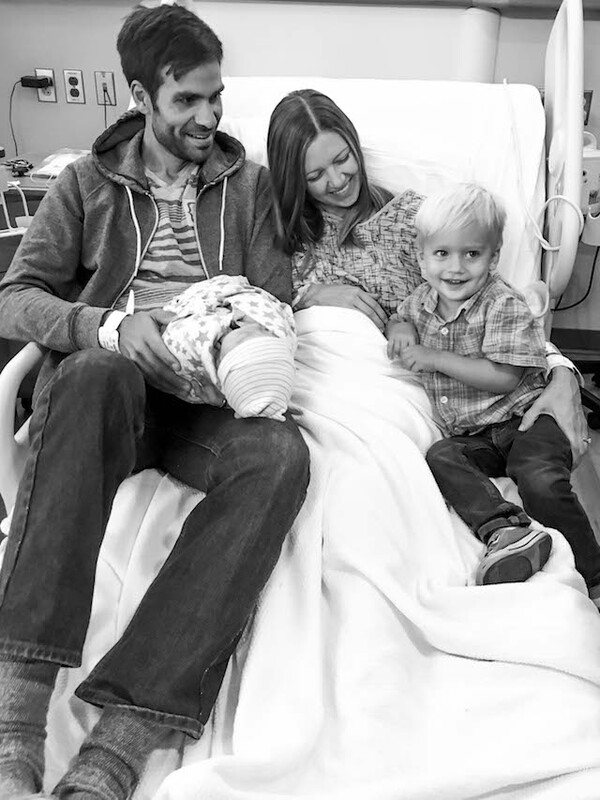 Giving birth has taught me an important lesson about parenthood. As parents, we do what we can to make the best decisions for our family, our children, and ourselves, but we can’t control how our story actually plays out. 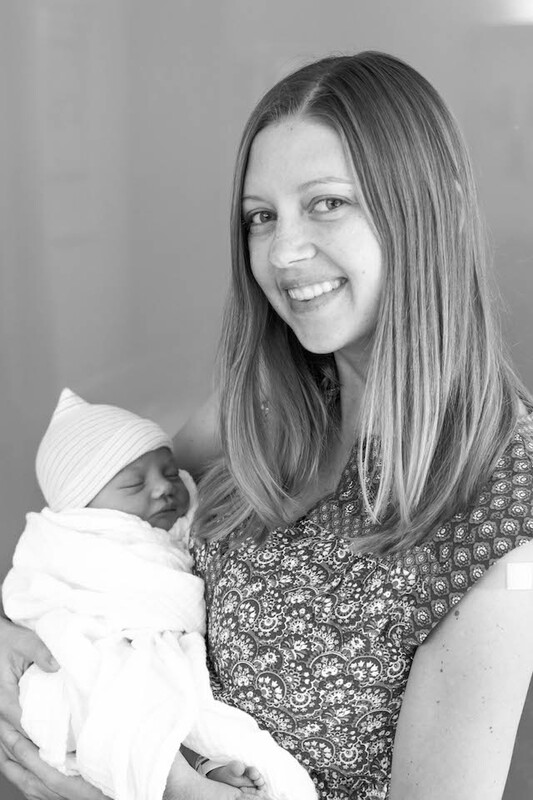 Everett’s birth was my first parenting lesson in letting go and embracing what we are given, and that has been something I have returned to throughout parenthood. 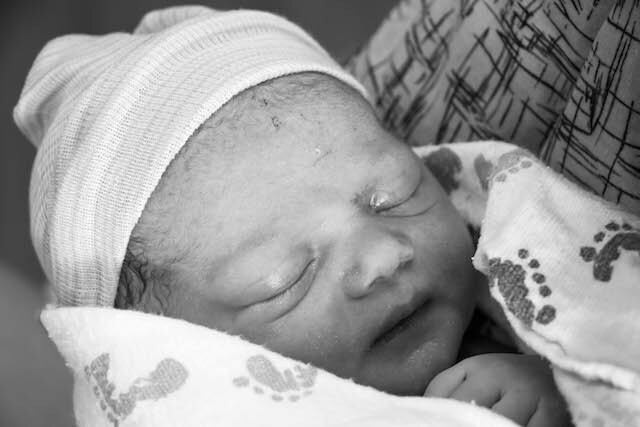 This birth story begins with the birth of our firstborn, Everett. 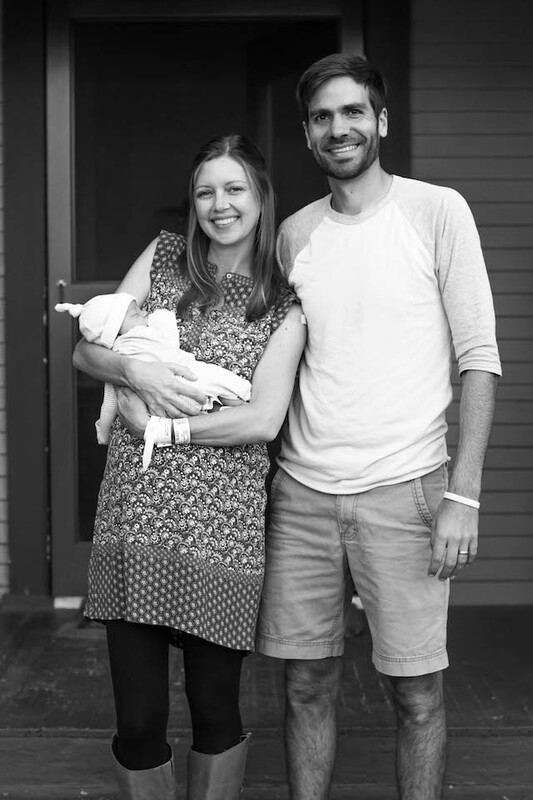 With Everett, we had decided that we wanted to have an unmedicated hospital birth, and so we did everything we could to make that happen. We took a birth class, I attended prenatal yoga, we hired a doula, I read childbirth books, and we typed out a birth plan. Then, at our 41 week doctor’s appointment, we found out Everett was breech. 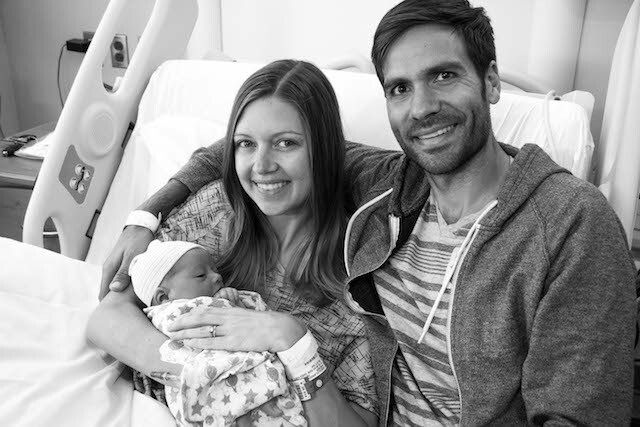 We scheduled an external version for the next day to try to turn him, and it didn’t work, so I went on to have a cesarean birth that afternoon, June 10. Going into our second birth, I had a peace about our journey to bring our baby into the world, not knowing what would happen along the way. I went into preparing for birth the second time with completely different expectations than the first time. All I cared about was a healthy baby, and the rest of the details would work themselves out. I had a complete peace about what my birth experience could be like, because after the first time going nothing like we had planned, I realized that the most important part of birth is the baby being born, and we can’t often control how that story unfolds. Still, we knew that we would have some decisions to make for our second birth. Our first decision: Would we try to have a VBAC (vaginal birth after cesarean) or just have another cesarean birth? 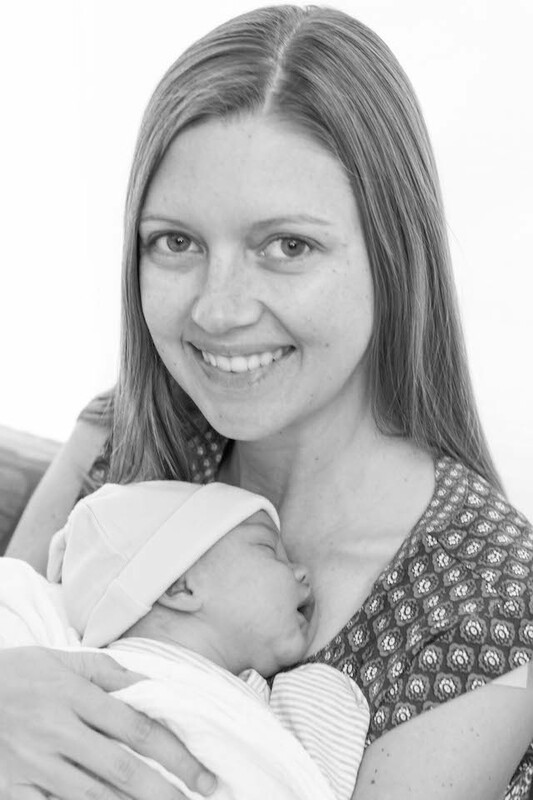 Through research and talking to our doctor, we decided to try for a VBAC for two main reasons: 1) I wanted to be able to have immediate skin to skin with my baby when he/ she was born, which was not something I got to do with Everett because of the cesarean birth. 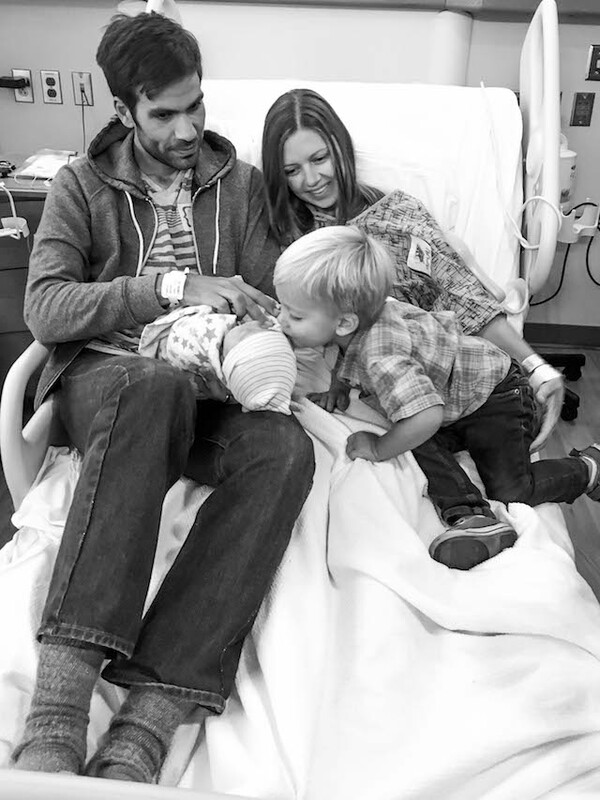 2) I wanted to be able to pick up Everett after our second baby was born, which is not something I would be able to do if I had another cesarean. Of course, even with that simple birth plan, obstacles arose, and the journey to having our second baby ended up requiring a series of further decisions on our part. At 33 weeks along, we found out that we had another breech baby. Another decision: Would we try to have another external version to try to turn the baby (this time at 37 weeks along) or just have a scheduled cesarean? We had a few weeks to decide and see if the baby would turn by his/herself. At 36 weeks, we still had a breech baby, so we decided to schedule a version for the following week at 37 weeks. We checked into the hospital, I was hooked up to the monitors, and we waited for our doctor to come. In my mind, I thought that the version wouldn’t work but decided to try it anyway. Our doctor predicted an 80% chance of success. The procedure took about five minutes, and the baby turned! It was uncomfortable, but not extremely painful like the version we tried with Everett. After the version, I was having contractions every 3 minutes, so they checked my cervix to make sure I wasn’t going into labor, and I was 1 cm dilated. They monitored me for an hour, discharged me, and then we went for a walk on the beach. Each week after the version, I was checked to make sure the baby was still head down. At 38 weeks, I was 3 cm dilated and 50% effaced. At 39 weeks, I was 3.5 cm dilated and 75% effaced. At 40 weeks, I was 4 cm dilated and 80% effaced. At 40 weeks and 4 days, I was 4cm dilated and 80% effaced. At my post due date appointment, we knew that we would have to talk to my doctor about being overdue and what our options were. Originally, he said that we couldn’t be induced for a VBAC, because the chance of uterine rupture doubles with an induction, due to the contractions being more intense. However, he said that since I had been dilated for so long already, he thought that I would actually be a good candidate for an induction if I wanted to try it. Our next decision: If I didn’t go into labor, would we want to try for an induction and a VBAC or would we want to just schedule a cesarean? We decided to go for the induction and a VBAC, since we had tried so hard at that point to have a VBAC. Our next decision: When would we have our baby if I didn’t go into labor on my own? To answer this question, we asked our doctor what he felt comfortable with. We told him that we wanted to wait as long as we could to give my body a chance to go into labor on its own. He said that considering I would be having an induction and a VBAC, he felt comfortable with me delivering at 11 days past my due date. 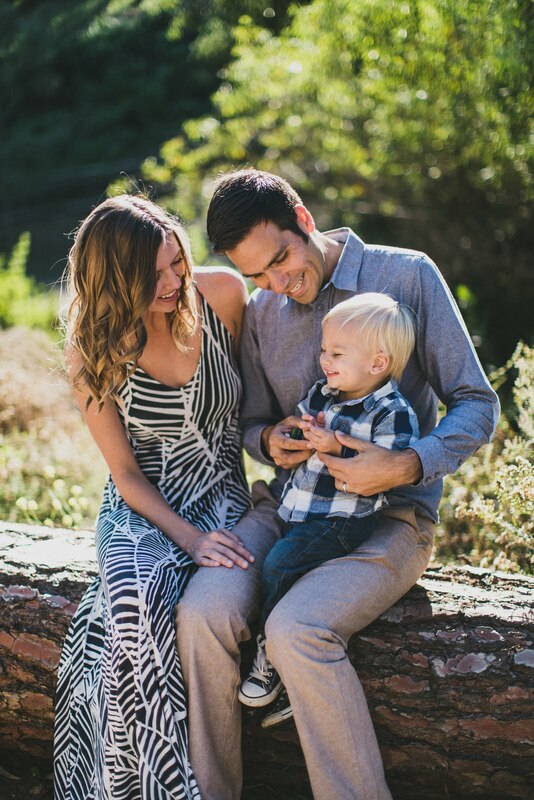 Throughout our entire pregnancy, we felt extremely supported by our doctor, and that is something I am really grateful for. We went with my doctor’s recommendation. If I didn’t go into labor, I would deliver on October 18, 11 days past my due date. Matt and I both felt at peace with that decision. Every day, we waited to go into labor, until I finally just accepted the fact that my baby would be born on October 18th. We used our final days to go out to breakfast, do special activities with Everett, hang out with family. It is really challenging to be pregnant past your due date, both physically and mentally, but we made the best of it. On the night of October 17th, my parents came over, we had dinner together, and then Matt and I kissed and hugged Everett good-bye and drove to the hospital to check in. It was surreal checking in, waiting in the waiting room, and then being taken to a room, knowing that we would be meeting our baby soon. By 8:30 pm, I had been hooked up to the monitors, and I was having regular contractions that I couldn’t feel. The nurse began the induction, and told me that since I was already 4 cm dilated, had been dilated and effaced for weeks, and was already having regular contractions, she thought it wouldn’t take too long. 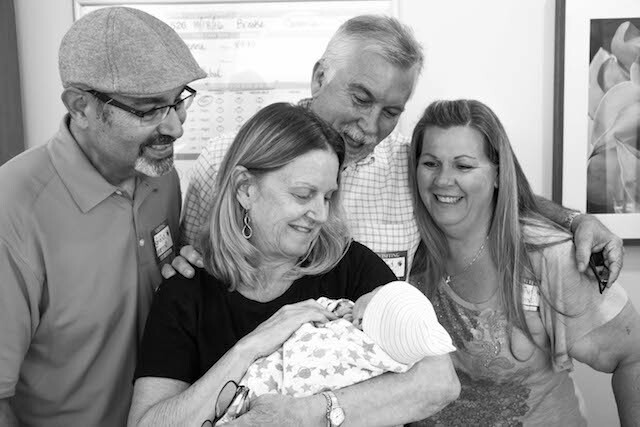 With an induction, the nurse comes and gives you pitocin every half hour, checks your blood pressure, your contractions, and the baby’s heart rate. That meant no sleeping for me. Matt got a few hours of sleep throughout the night. At about 4:00 am, I began to feel contractions and they were somewhat painful. My plan was to wait as long as possible to have an epidural, but I definitely knew I wanted one, especially because contractions with an induction are supposed to be more intense and painful. The contractions got really painful pretty quickly. At about 4:30 am, the nurse checked me and I was only 4.5 cm dilated. After that, the contractions were extremely painful. I was breathing and moaning loudly through them. I thought that maybe I would want to get up, change positions, sit on a birth ball, have Matt massage me, or listen to a playlist of music. But, all I wanted was to lay on my side, listen to Bon Iver, and keep my eyes closed. I was holding onto the bed railing, and Matt was helping me breathe. By about 7:00 am, the contractions were overwhelmingly painful. I was 7cm dilated, and I requested the epidural. The epidural itself didn’t hurt at all, but it was so challenging to sit up on the bed and stay still for the epidural to go in. I was face to face with the nurse squeezing her hands. While I was sitting up, my water broke. After the epidural, my contractions were still painful yet a little less intense. I was still laying on my side with my eyes closed breathing and moaning through them. The nurse shift change happened at 7:00 am, right after I got the epidural, and as my new nurse came in, she said, “this woman is ready to give birth; call the doctor.” She got a hold of my doctor, who wanted to deliver our baby. He was on his way. Once my doctor arrived, he checked me, and I was indeed ready to give birth. I had gone from 7 cm dilated to 10 cm quickly, which made sense with how overwhelmingly painful my contractions had gotten. My doctor got ready while the nurses helped me get ready to push. Some people have said that pushing is a relief after strong contractions, but I found pushing to be an intense and painful aspect of birth as well. I am not sure if my epidural didn’t work properly or what happened, but I still felt my contractions and the pain that came with pushing. The nurses had me pushing and breathing with each contraction and wheeled in a mirror to let me see the baby’s head, which was amazing. Once my doctor came back in the room, things became more intense. My contractions began happening one on top of the other with no rest time in between, so I was pushing, taking a breath, pushing, taking a breath, pushing, taking a breath… There were no breaks in between contractions. This part was painful and so challenging. I was using all the strength I could find within me. Finally, at one point, my doctor looked me in the eyes and said, “Brooke, your baby’s heart rate is dropping. We need to get this baby out now. I need you to push as hard as you can to get this baby out right now.” Even though I was in pain, and I was already pushing as hard as I could, somehow from deep within, I found more strength and pushed harder. At some point, the baby came out. The doctor held her up and said, “It’s a girl!” And she was placed immediately on my chest. 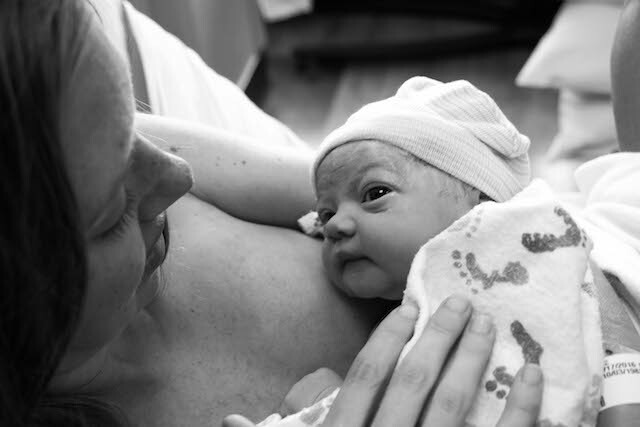 That moment, when giving birth was finally over, I got a first look at my baby, we found out she was a girl, and then she was placed immediately on my chest- that was one of the best moments of my life. I was crying tears of joy and was overcome with emotion. We got to stay like that for an hour before they took her to weigh her and measure her. 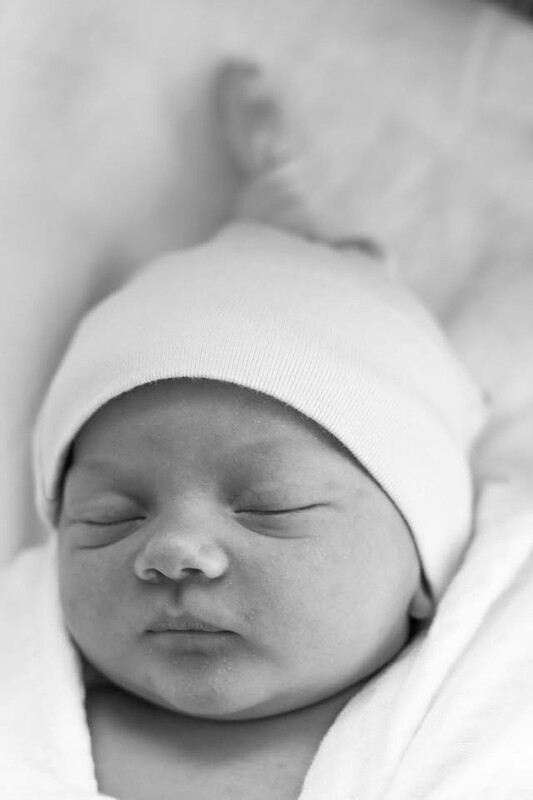 She was born on 10/18 at 8:38 am and weighed 8 pounds, 8 ounces. Right after she was born, while I held her, the doctor sewed me up, which was also extremely painful. I have heard some women say that childbirth is like running a marathon, but honestly, childbirth for me was about 1,000 times more painful than running a marathon. However, all the pain and energy put into it is so worth it for the end result of meeting and holding your baby for the first time. And the journey to get to the point where they place the baby in your arms makes that moment all the more beautiful. I am beyond grateful that I was able to have the birth experience I had. I am really glad that I had a VBAC, and I feel very lucky that it all worked out. There are so many moments from that morning that are etched into my mind, so clear and vivid, and then there are other moments that are foggy and blurry when the pain took over. 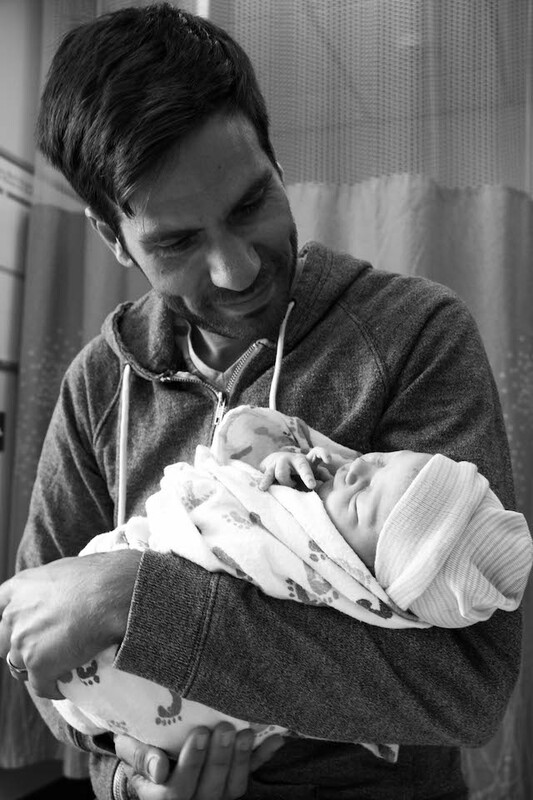 The birth of our baby girl didn’t go according to our plan (with needing to have an induction), but it was a beautiful journey to bring our little GIRL into the world. I couldn’t be more grateful. I am proud of myself and my body for both of my birth experiences, even though they were totally different for each of my children. We as women are strong and so are our bodies, for creating and carrying a child, and doing what it takes to bring that baby into the world. Both experiences were life changing and seeing each of my babies for the first time after they were born will always be two of the best moments of my life. It brings me to tears still just thinking about it. 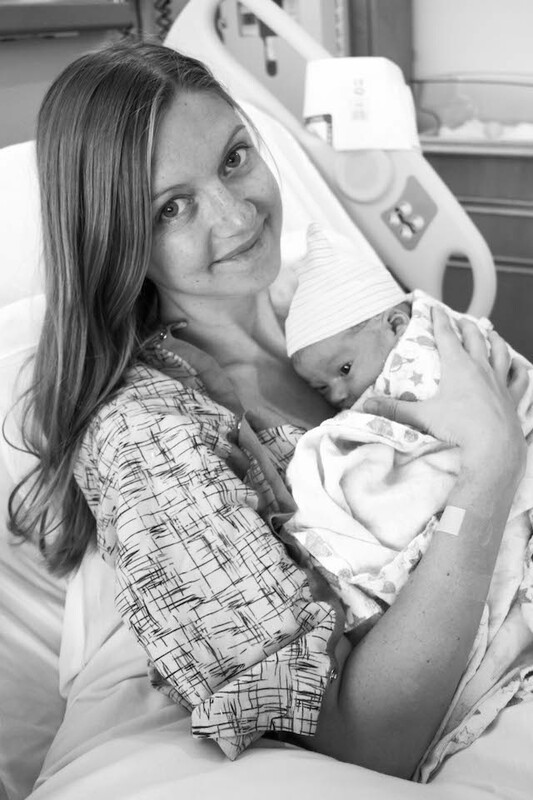 I think that every woman should make a decision for herself about birth, because it is so personal, but if someone asked me my opinion, I would highly recommend having a VBAC over a repeat cesarean. 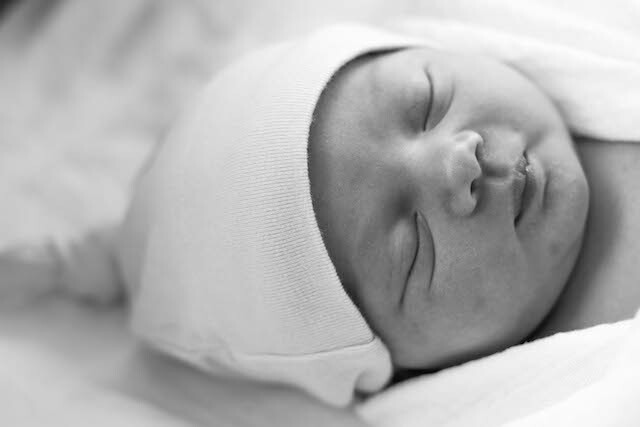 The recovery after a VBAC has been night and day compared to the cesarean. We only stayed in the hospital for one night after Cambria’s birth compared to Everett’s where we stayed four nights. I was crying in pain the day after my cesarean, and with the VBAC I was home with my family and could walk! 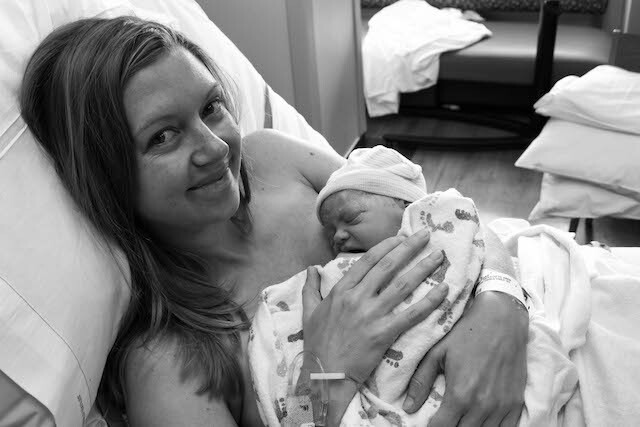 The best things about having a VBAC for me were being able to hold my new baby skin to skin right after her birth, getting to experience the process of birth outside of a surgical setting (although unfortunately still with a major intervention being induced), being able to walk and eat and shower the same day after giving birth, and being able to cuddle and pick up my toddler. If I have another child, I would try for a VBAC again, and although my epidural didn’t really work, I would do the same thing: wait as long as I could to have an epidural and then have one.